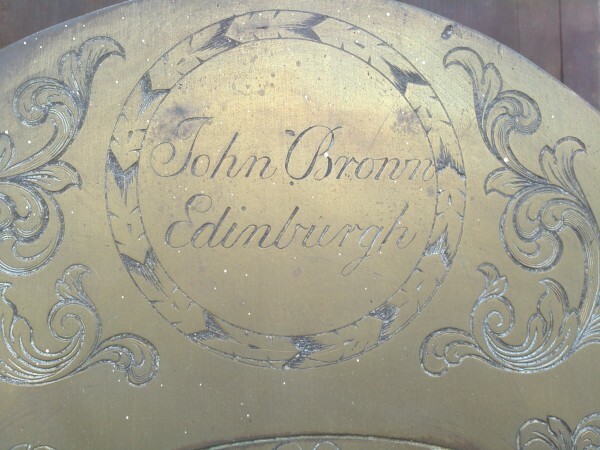 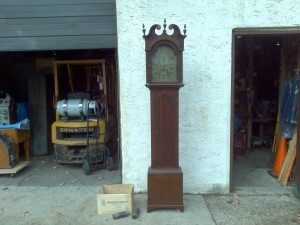 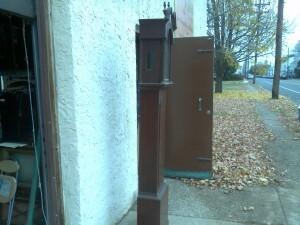 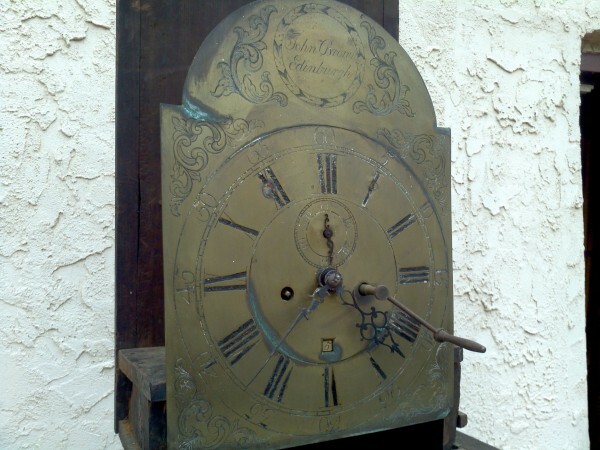 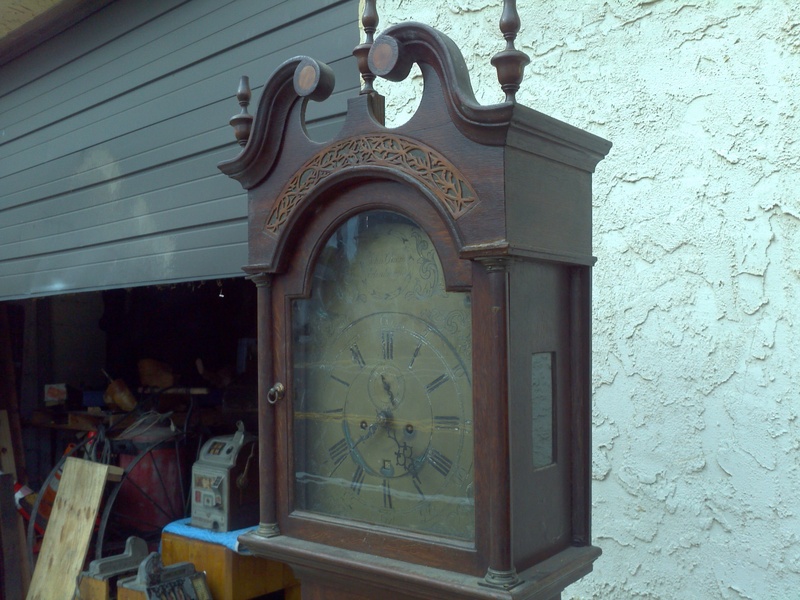 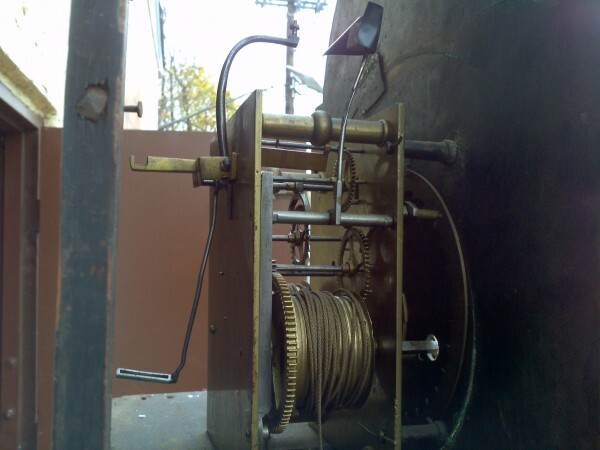 Antique dated (Scottish/English) grandfather, tall case clock in as found condition. 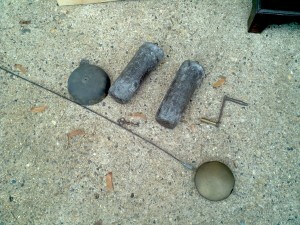 Comes complete with brass movement and lead weights. 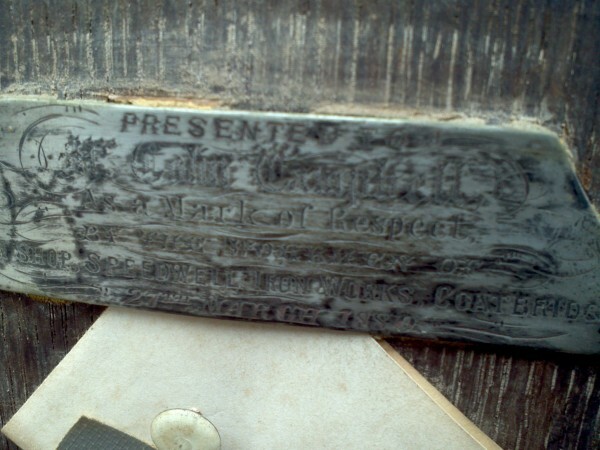 Marked “Presented to Mr. Colin Camphell as a mark of respect by the workers of Upper Shop Speedwell Iron Works Coatbridge 27th March 1880”. 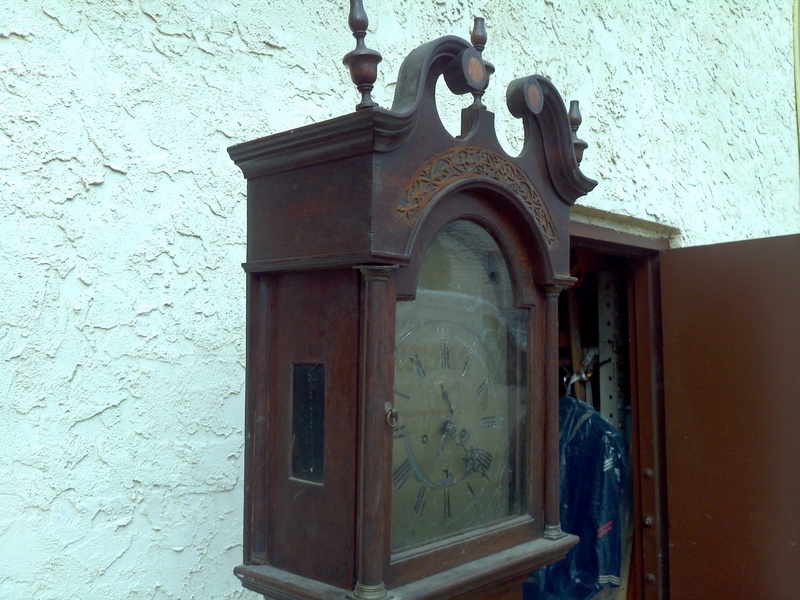 Cabinet in good condition but will need some minor restoration. Will make a great project……….